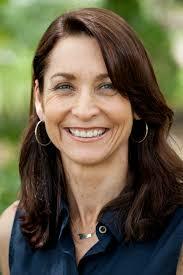 Samantha Wheeler writes informative tales about environmental and conservation issues. She frames these inside warm, child-friendly stories. They are also exciting. Thank you for speaking with Boomerang Blog, Samantha. I split my time between our inner city home near the Brisbane CBD, and a small property we have near the Sunshine Coast. I came to writing quite a late, only writing my first story after completing the Year of The Novel course at the Qld Writers Centre in 2009. Prior to that I worked with farmers and taught agriculture and science in high schools. 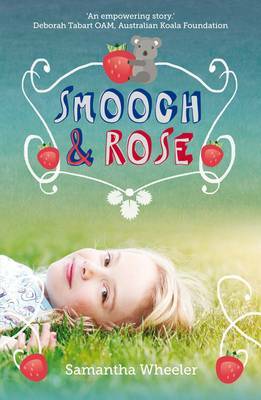 My first published story, Smooch & Rose, about koalas in Redland Bay, was accepted by UQP after I pitched to Kristina Schulz at the CYA conference in 2012, and was published in 2013. Being fairly new to writing, I’ve found the children’s literature community in Brisbane, and Australia wide to be incredibly welcoming and encouraging. I feel very lucky to have chosen this genre for my books. Yes, I do, and with my background in teaching, I love this part of being an author. 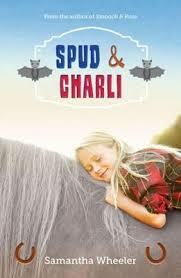 I hope I make them interesting by having fun with the animals and characters I’ve written about. Encouraging children to explore their curiosity is a wonderful thing. For example, who knew cassowaries had no tongue? Or that wombats had square poo? Nature is full of delightful surprises. One of the most memorable responses happened just recently at a local school. After I spoke about my latest book, Wombat Warriors, the whole school (including the principal) sang ‘Dig Like a Wombat’ – with actions!! It was fantastic! I can imagine children collecting and keeping your books. Could you tell us about your books? Aww! That’s a nice thing to say! Thank you. To be honest, I would collect my books (he he). I write exactly the type of book I would have loved as a child. 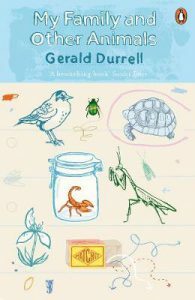 I was really into books with an element of truth, so books like Gerald Durrell’s My Family and Other Animals fit that description. So when I write now, I try and satisfy that burning urge to find out more about nature while creating an adventurous ride for the reader. I usually choose stories after seeing things myself (e.g: when developers cut down all the trees where a koala lived: Smooch & Rose, or when I saw a newspaper article about wombats being buried alive: Wombat Warriors) or after talking to children about the problems facing our wildlife. (e.g: the cassowaries up in Mission Beach: Mister Cassowary, or the problem of plastic in our ocean: Turtle Trackers (coming 2018)). So if you’ve seen anything that worries you … let me know! My first children’s book, Smooch & Rose, was shortlisted for the 2014 Queensland Literary Awards and the Readings Children’s Book Prize, and my third, Mister Cassowary, was shortlisted for the 2016 Wilderness Society Environment Award for Children’s Literature, the Readings Children’s Book Prize, Speech Pathology Australia Book of the Year Award and was commended in the Royal Zoological Society of New South Wales Whitley Award. 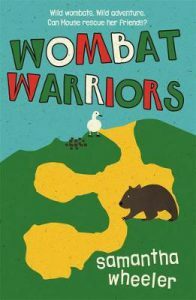 It’s too early to say for Wombat Warriors, but fingers crossed! 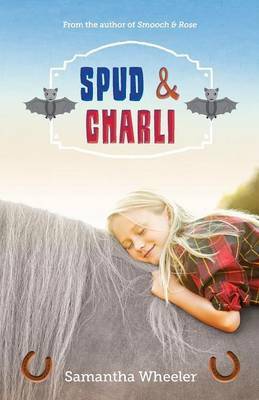 How do you combine information about Australian animals and environmental issues with a satisfying storyline? It’s a bit tricky! I usually do a lot of research before writing, and my early drafts can be a bit didactic. I sprout facts worse than an encyclopedia. Luckily I have very patient editors at UQP, who kindly point this out, and I have to switch things around to weave the facts more carefully into the story. It’s not always easy though. Endings are especially hard as, like my characters, I want to save all the cassowaries or all the wombats, which can be a bit unrealistic. I have to keep focussed on the ones in the story and think about how they might be saved in a practical and realistic way. I think I’d have to say the southern hairy nosed wombat. So adorable! I loved researching them, and think a sequel to Wombat Warriors might be in order, just so I can research them again! I do have a soft spot for sugar gliders and willy wagtails though. What were you like as a girl? I lived in Africa as a little girl, and although I loved school and reading, I think I was quite shy in class. Collecting interesting animals (like chameleons, tortoises and giant stick insects) and having adventures outdoors were by far my favourite things to do. Who do you model your characters on? Most of my characters are a mix of people I know. So Aunt Evie in Wombat Warriors was based on a colourful aunt of mine in England who didn’t have her own children and seemed to forget I was only a child. Staying with her was both scary and exciting, as she’d let me do things Mum would never approve.The shy Mouse in the same book is based on a young girl I know who always looks to her mum when I ask her a question, despite having very firm views on wildlife herself. Spud in Spud & Charli was a huge thoroughbred I used to own, who smelt terrible, and loved eating more than anything else in the world. And nasty Uncle Malcolm in Smooch & Rose, well … some things are best left a secret. My books have become a little longer since Smooch & Rose, mainly because there’s so much to say! But the overall style and intended audience has remained the same. I’ve tried to spread the protagonists out across the books so that I’m not always writing about girls or about boys, just trying to mix it up. The issues have no real pattern, just the ones that press most to be written. I’m always on the lookout for possible ideas, and most of our family holidays revolve around some sort of animal adventure, so all suggestions welcome! I’m editing my next book called Turtle Trackers, which is set up near Mon Repos in Bundaberg. Approximately 300-400 turtles come to the beaches in this area to nest every year. While I had the pleasure of watching baby turtles hatch last January, I was saddened to hear of all the problems they face. Many students I’ve spoken to have said that the turtle is their favourite animal, so I’m really looking forward to sharing this book with them early next year. 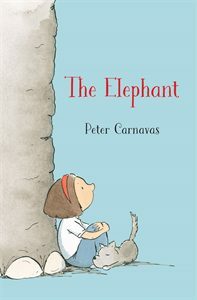 I’ve just finished the most magnificent children’s book by my wonderful friend and colleague, Peter Carnavas. The Elephant. It’s also published by UQP and is beautiful, funny, and sad. It’s Peter’s first novel and boy, its good! Thanks Samantha, and all the best with your wonderful books. Thank you Joy, it was my pleasure. All the best with your wonderful blog. Australia is home to some exceptionally strange flora and fauna. The ubiquitous tropical heat of Far North Queensland seems to accentuate oddities and none typifies unique peculiarities more vividly than Australia’s heaviest flightless bird, the Cassowary. 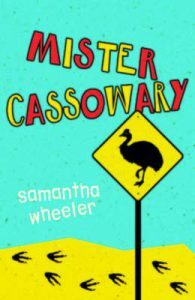 Beautiful yet deadly, the Cassowary is a natural magnet of mystery and misinterpretation so naturally is a prime candidate as the main character in Samantha’s Wheeler’s latest children’s adventure, Mister Cassowary. Wheeler meshes misinterpretation of our native fauna extremely well with action packed, character driven, and emotionally sensitive adventures for readers seven and above. City bred Flynn, is on a mission to Mission Beach in North Queensland with his dad to ready his deceased Grandad’s decrepit banana farm for sale. He’d rather be anywhere else than stuck in this sweltering sultry backwater with a father he seldom sees and barely knows. Then he meets Abby and two baby cassowaries that slowly help him peel back the layers of mystery surrounding Grandad Barney’s death and his relationship with Big Blue, the meanest, largest, scariest Cassowary in the district. Jammed with intrigue, adventure and more cassowaries than you will find in Australia Zoo, Mister Cassowary is an exhilarating and absorbing read for primary schoolers and animal lovers. I’m rating it as high as or higher than her debut novel, Smooch and Rose, on my got-to-read-animal-story list, and Smooch and Rose was sterling. Today we trek down its creator, Sam Wheeler and discover even more about the enigmatic Cassowary. After growing up rescuing animals, Samantha studied Agriculture, worked with farmers, and taught science. Writing children’s books inspired by nature, she hopes to prove that ‘anyone can make a difference’. Welcome to the draft table, Sam! Who is Sam Wheeler? Describe your writerly self. I’m an animal lover and crave the outdoors, green spaces and nature. Given a choice of shopping in New York or trekking Blue Mountains, I’d choose the Blue Mountains any day. 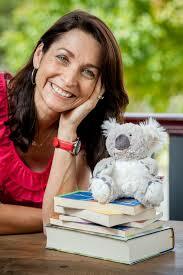 Your books for children centre on animals endemic to Australia. Why is this element important in your writing? My background is in biology and science, which gives me a strong interest in the environment, and when I hear about what’s in store for our precious wildlife, I feel driven to write about them. They say write what you love, and writing books about animals gives me an excuse to spend more time with the things I love. It’s all about the story I want to tell. How did Mister Cassowary’s tale evolve? When I was writing Smooch & Rose, I was working as a tutor with the Ronald McDonald Learning Program. One of my students had to give a PowerPoint presentation on an endangered Australian animal, and having chosen the cassowary, he asked me for help. But I didn’t know anything about cassowaries! As soon as I found out that the males raise the chicks, the story started swirling in my head. Mister Cassowary addresses various sub themes such as the FIFO father son relationship. Why do you think this holds significant relevance amongst your young readership? I loved the parallel: the way the male cassowaries are so close to their young chicks versus human fathers who, because of work and other reasons, can sometimes be absent and distant towards their sons. I think many children whose parents work a lot, or travel away, have felt like Flynn. They may relate to his feeling that his dad doesn’t know who he is, and what he’s capable of. Do you actively research each of your stories before you write them? 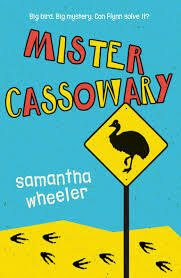 What is the most mind-boggling thing you have learnt during the writing of Mister Cassowary? Yes, I love the research! I travelled up to Mission Beach (North Queensland) twice to research Mister Cassowary, and would go again in a heartbeat. The people up there are so passionate about this beautiful bird, and are trying so hard to save it. I learnt so many interesting things: cassowaries don’t have a tongue, they can swim really well, they can run up to 50km/hour (which is why you shouldn’t run if you see one) they were the most treasured gift an emperor or a king could receive. I also think they can tell the time. Up at Mission Beach, a local cassowary turns up at the local dump at one minute to 10 every morning. The dump opens at 10! What is the hardest part about giving life and soul to stories like yours? Making sure they aren’t too preachy and the characters are believable. I have to make sure they’re real people, not just tools to push the issue. What is on the draft table for Sam? Exciting times! Two more ‘animal’ books are in the making, plus another special story about a girl who can’t talk. Just for fun question (there’s always one): If you could be any Aussie animal, which would you be and why? I wouldn’t mind being a willy wagtail! They always look happy and cheeky, and imagine being able to fly! Oh I can, Sam, I can! Thanks for today. May your flightless bird take off for you, as well! Mister Cassowary is out now and features in Boomerang’s Kids’ Reading Guide 2015-2016. A perfect stocking filler solution!